This week we have been doing some very important learning at nursery about our bodies and especially PANTS. 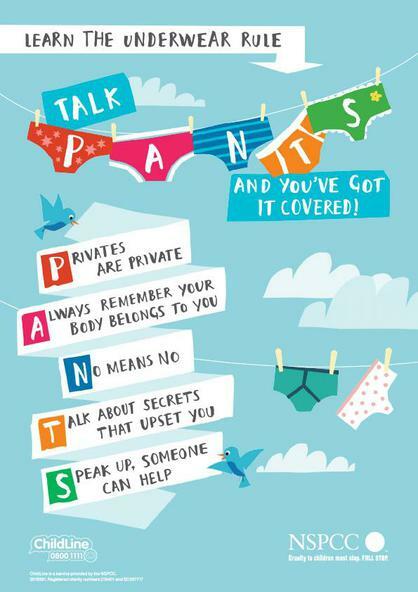 We have been talking with the children about their bodies, reminding them that their bodies belong to them and that some parts of their bodies are private which is why they are covered up by their pants. The children talked about their own understanding and all had a special leaflet to take home to give to their parents/ carers for further discussion at home. Please read the leaflet we sent home and talk to your child about the appropriate aspects of it's content. for more information follow the link below by click on the picture.